Our movie was screened before we went on stage to collect our certificates. To me the movie deserved to be first place. 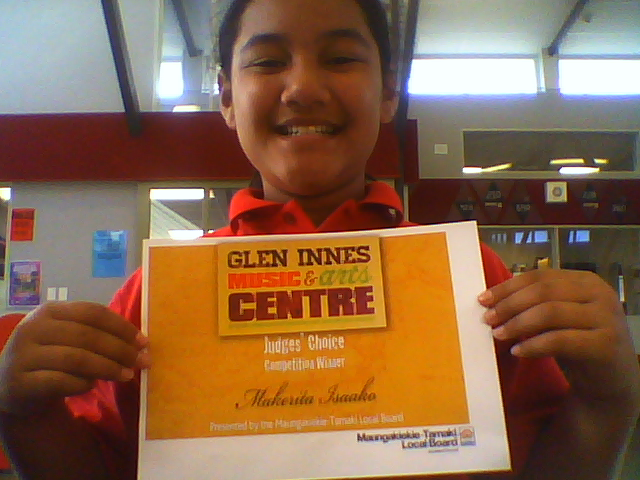 Our prizes that we would be receiving were a $300 voucher of your choice of music and art supplies, entry to the Auckland Art Gallery, movie tickets for you and an adult, and a $100 voucher of your choice of music and art supplies. It was a lot of prizes. We haven't yet received them yet but, I can't wait to use the movie voucher or either go to the Auckland Art Gallery. 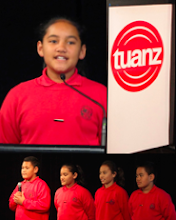 Thank you so much Josephine and Allen, as well as the Maungakiekie Tamaki Local Board for everything.